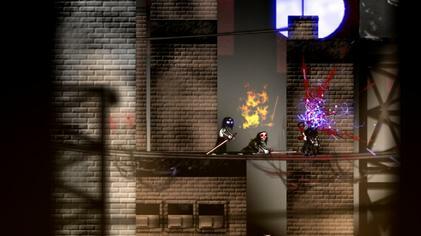 The Dishwasher: Dead Samurai is a game from independent developer James Silva. James is making this entire game himself. The art – the code – everything. This makes him something of an enigma today, like the “bedroom coders” of the spectrum and commodore 64 from the 70’s and 80’s the whole project, from conception to reality is Silva’s brainchild. As with most games I’ve been looking at specifically, Dishwasher has somewhat of a unique art style, something not often sold or seen in mainstream – store bought retail games. Silva’s style is one of an angry teenagers notebook, and it works, it brings to life the rough strokes of sketching into a bizzarre twist of violent revenge from an over worked an under appreciated Dishwasher.